Do Neuronal networks getting slow in adaption after a lot of training? How are train and test accuracies calculated when the model is certain? How to get identical results with lightgbm.cv and manual Cross validation with lightgbm.train? In its algorithm, where is the section of training? 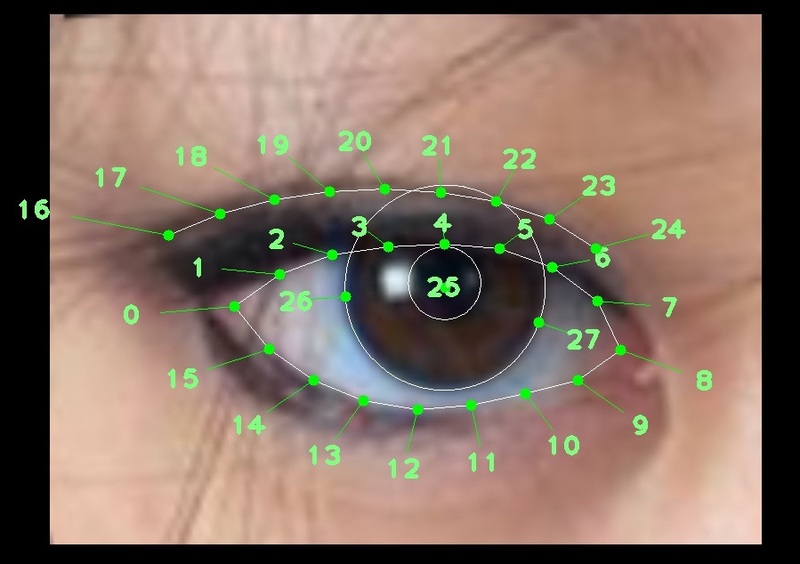 How we can train and how we can test this algorithm? Also, which section is experience replay section? I need help writing a custom loss/metric function for Keras. My categories are binary encoded (not one-hot). I would like to do a bitwise comparison between the real classes and the predicted classes. The predicted-label has 8 of 10 bits correct so the accuracy of this match should be 0.8 not 0.0. I have no idea how I am support to do this with Keras commands. tensorflow.python.framework.errors_impl.UnknownError: NewRandomAccessFile failed to Create/Open: training : Acc\udce8s refus\udce9. I am a beginner in the neuronal network field and I want to understand a certain statement. A friend said that a neuronal network gets slower after you fit a lot of data in. Right now, I just did the coursera ML course from androw ng. There, I implemented backpropagation. I thought it just adaptes the model related to the expected output by using different types of calculations. Nevertheless, it was not like the history was used to adapt the model. Just the current state of the neurons were checked and their weight were adapted backwards in combination with regularisation. Is my assumption correct or am I wrong? Are there some libraries that use history data that could result in a slowly adapting model after a certain amount of training? I want to use a simple neuronal network for reinforcement learning and I want to get an idea if I need to reset my model if the target environment changes for some reason. Otherwise my model would be slower and slower in adaption after time. Thanks for any links and explanations in advanced! Should I split my data into 3 parts (train, validation, test) and should I use k-fold? Is it logical to use cross-validation to get the test accuracy since I don't use it for tuning hyperparameters? Note: The reason that I am interested in manual cross validation is that I would like to include undersampling im my calculation and perform hyperparameter tuning with this cross validation approach. This is doable using pipeline if we use sklearn estimator as described in this post. However, I couldn't implement lightgbm within Pipeline with earlystopping. I thought manual cross validation could be the solution of this problem if we are interested to use lighgbm for training the data. I obtained auc = 0.8203 +/- 0.0246 with lightgbm.cv and auc = 0.8113 +/- 0.0129 using KFold and lightgbm.train which are almost identical considering its stdv, however, I expected I get the same score. 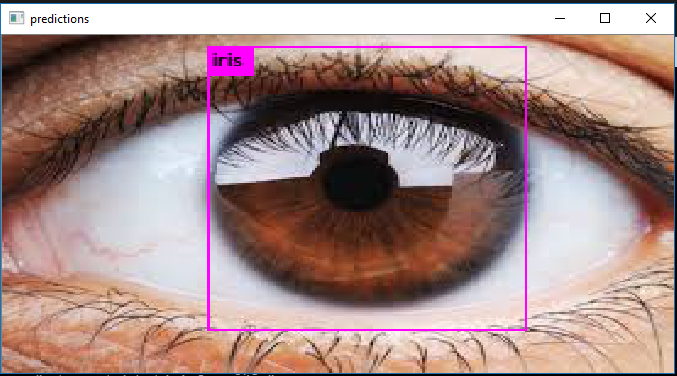 I want to mixed yolo algorithm with Landmark detection ( or Keypoints detection ) to draw points takes the form of the iris after training and detection the iris region with yolo . I ask is it possible to do that? For some reason, the values are growing infinitely big. I can't think of why that is. I've been trying to implement SARSA with LVFA. So far, I've implemented the following code, but it doesn't seem to work (doesn't converge to the correct Q factors for even the simplest of problems). Any help with why my code doesn't work will be greatly appreciated! Thanks! I've simply replaced the TD update rule in Q with the above, which should work since SARSA with LVFA is guaranteed to converge to the true fixed point theoretically. So I'm assuming something is wrong with my implementation, but I haven't been able to spot any bugs yet.
""" SARSA algorithm with LVFA """
U is the action space and S is the state space. theta is a weight matrix of shape len( phi ) x len( U ) , where phi is the feature (column) vector for a state s.
You get your Q-matrix by simply doing np.matmul(Phi.T, theta), where Phi is just a collections of all your feature vectors [ phi(s1) | phi(s2) | … | phi(sN) ]. Leave any other questions you might have in the comments! list with probabilities for each successor is returned. All states are valid successors, but they can receive zero probability.
""" get features for state x """
And a corresponding incorrect policy [2 1 2] or sometimes [0 1 0]. I have a 3D scene, and I want to discretize the space of it so that every coordinate (x, y, z) belongs to a specific cell. Coordinates close to each other belongs to same cells. When I input a coordinate that lies on the surface of one of my tridimensional objects (mainly spheres), I need to retrieve the cell it belongs to. I know that Voronoi diagram can help in this, but I also read that implementing it from scratch is complicated. I found some libraries in C++ to handle this, but they are mainly Voronoi 2D (CGAL). I don't specifically need Voronoi, I only need to discretize the space in a reasonable way and looking for libraries/implementation for it I stumbled upon Voronoi diagrams. Question Is there anyone familiar with libraries or a public implementation to achieve this discretization in C++?